And with climate change, a bad situation has become worse. The once-gentle Guatemalan rain is now violent, and planting no longer fits the season. Farmers tell me that the “lean time” or “hungry season” historically started in April — but now, it starts in February. Many, in desperation, have abandoned their farms and fled north. In the USA, views are divided when it comes to issues like climate change and the “caravan” of hungry refugees heading for our southern border. Exploring this quiet farmstead, it occurred to me that the Americans who deny climate change are, generally, the same people who fear the caravan. And the irony is that, as climate change gets worse, this caravan will prove to be just the first trickle of a flood of climate refugees that will soon fill headlines across the developed world. 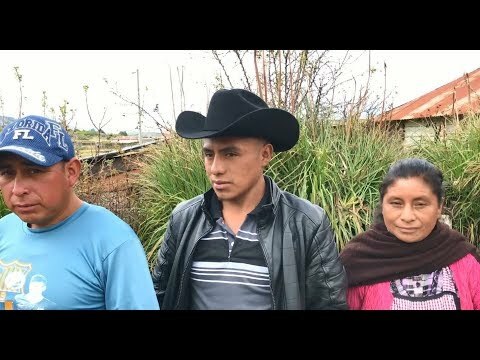 At the end of this clip, you’ll meet a few of these farmers face-to-face. Jason Momoa no se intimida con novios celosos; ¡los trollea con divertidas fotos!